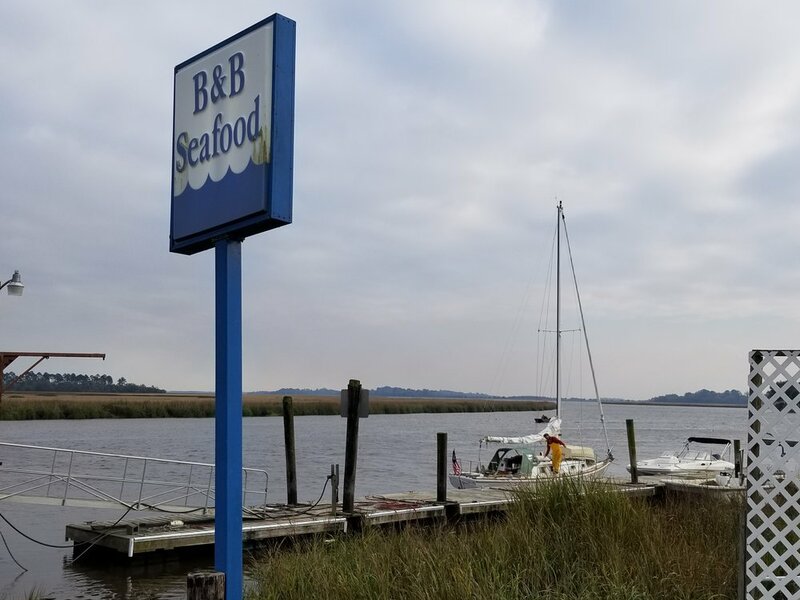 3/20 Wednesday, B&B Seafood on Mosquito Creek off the Ashepoo River, 1215.9, 61/47, partly cloudy, NNE15-20 - As was forecast, the wind eased up a bit. We cleared our slip around 7:45am, motoring north on Skull Creek. Once we entered the Chechessee River, we set sail and reached out into Port Royal Sound. At the Beaufort River, we hardened up and gave our best show beating. The ebb hadn’t really set in yet, so it was a good time to make distance to windward, and Grace does better under sail than motor in wind and chop on the nose. Plus, sailing is fun! Once the tide turned, we started the motor and furled the sails. Dobbs and I took turns at the helm, navigating the Beaufort River. We got to Lady’s Island Bridge five minutes late for the 12 o’clock opening, so Dobbs dropped Murphy and me off at the public dock to go explore downtown Beaufort. Murph and I were surprised to be greeted by Beth, Adam, and their young son Weston, of “Knot Yeti” from Skull Creek Marina - they’d driven up for the day and just happened to be walking into the park as I was walking down the dock! 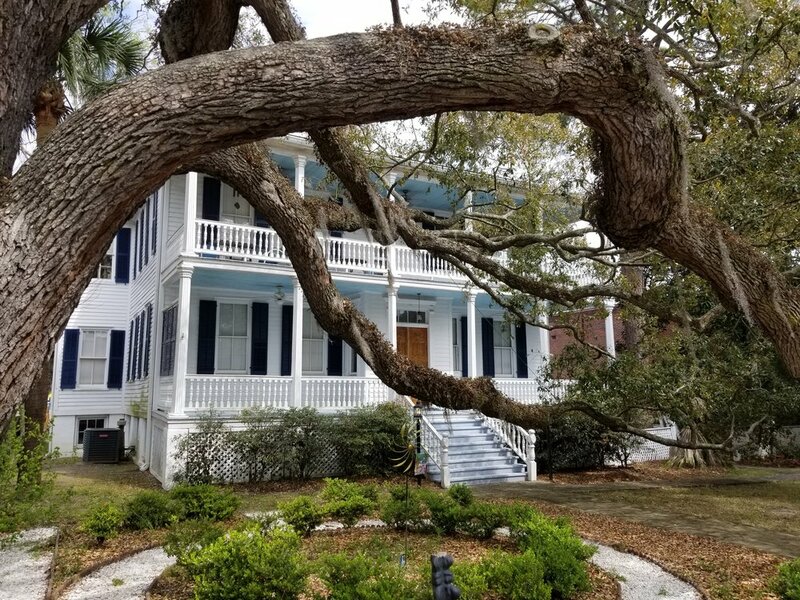 Beaufort is an attractive historic town - lots of charm. Meanwhile, Dobbs puttered Grace around the river, eating his lunch. A biplane did a couple fly-bys, keeping him entertained. At 1pm, we went through Lady’s Island Bridge. 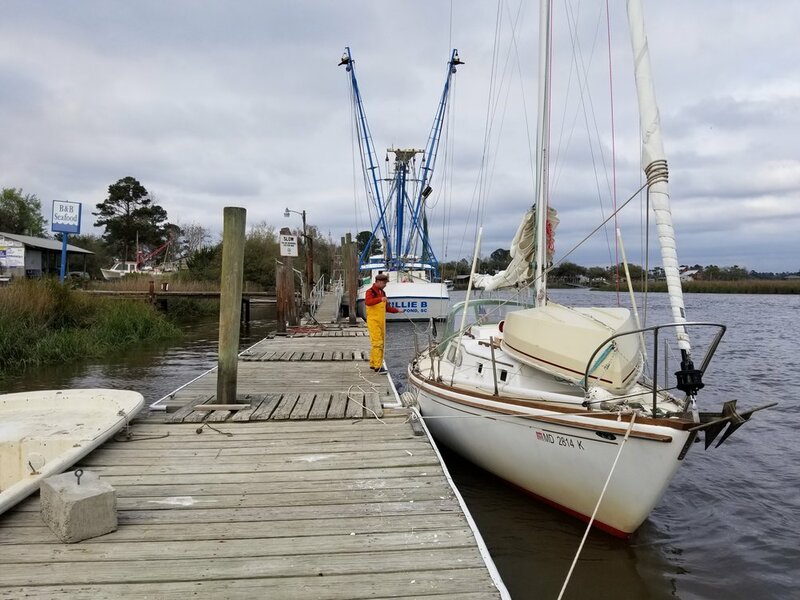 With its strong current and many bends and shoals (with accompanying crab pots), transiting the Beaufort River/Brickyard Creek can be tedious. We were glad to make it out onto the wide and 8+’ deep Coosaw River. The wind was favorable for sailing, so we did, over to the Combahee River. From there, it was another hour and a half of motoring to the dock at B&B Seafood on Mosquito Creek. 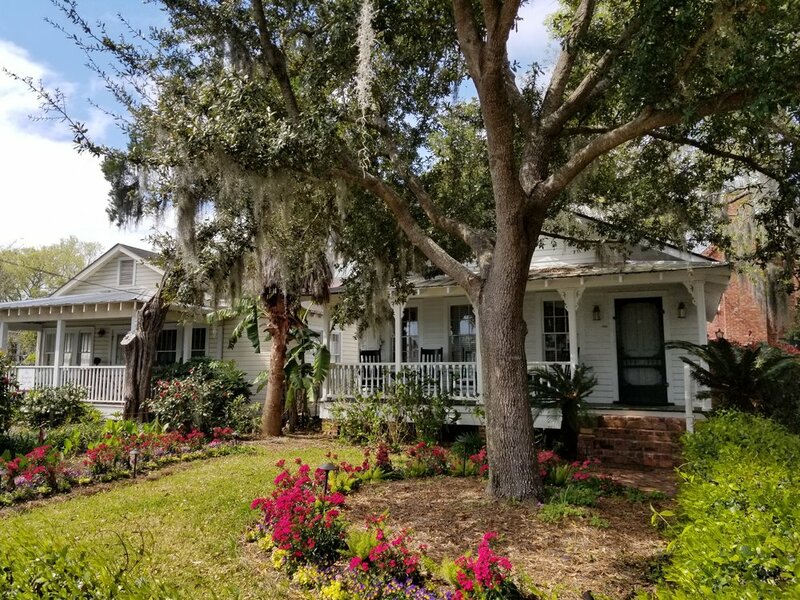 I love fish camps and commercial fish docks, and this is perfect - $25 a night to tie to a home-built floating dock attached to land, a rarity in this expanse of Lowcountry. It’s quiet, there’s barely any cell signal and only a handful of fisherman around, and the view out over the marshes is beautiful. For dinner, I made Asian vegetable stir-fry with chicken. Our bowls were empty for ten minutes before I thought to take a picture. Boat hunger is powerful!